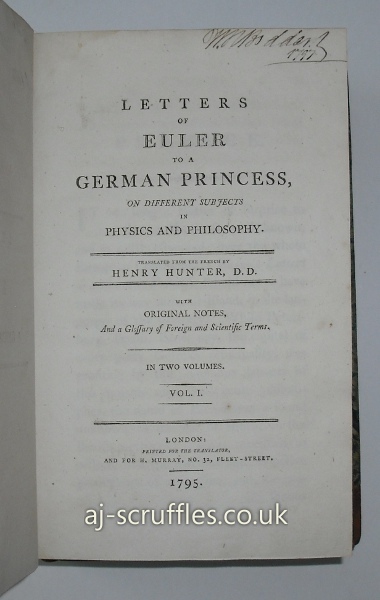 First English translation of Euler's letters to the Princess of Anhalt-Dessau, niece to Frederick the Great of Prussia. 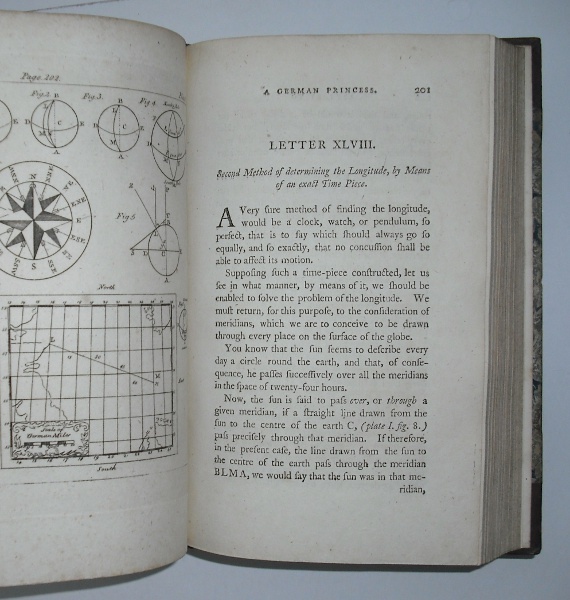 The publication of these letters, over 200 in total, was well received and reached a audience beyond his mathematical works, becoming, perhaps, the first example of popularizing science for the layman. Euler tackles subjects physical and spiritual, revealing his own beliefs and predilections along the way. This translation is interesting for Hunter's footnote defence of Newton's theory of Light, which Euler had criticised. Contemporary half leather with marbled boards. Speckled edge design has kept contents clean and unsoiled. One or two brief penciled notes in margin. 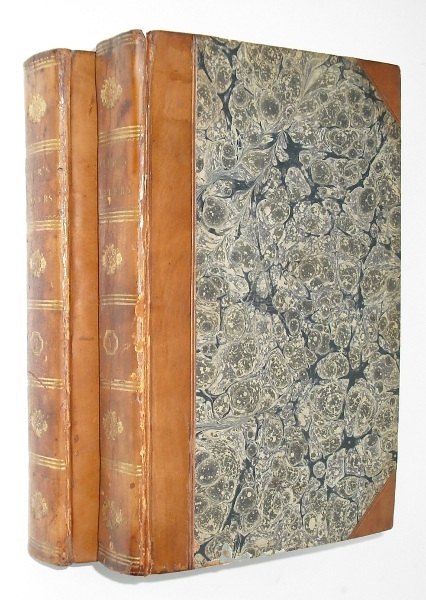 Binding is tight and square with very slight bowing to boards. Pleasing gilt to spine, slight rubbing and cracking to hinge. Overall a tight and attractive set.